River Bondurant ’18 is always behind the camera, learning something new as a student photographer for the Office of University Relations. Her long-term goal is to teach Spanish at the university level while also working as a photographer, perhaps as a part of the staff at the same university. Bondurant has always liked how UNCW students, faculty and staff genuinely care about the surrounding community. In her Spanish service learning class this semester, she noticed this focus on outreach firsthand. 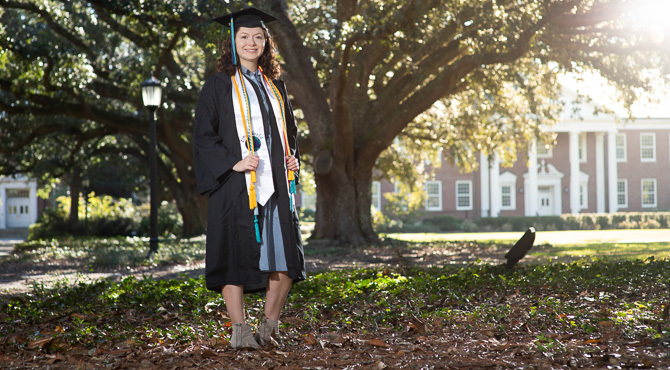 “Students found a way to get involved and help the greater Hispanic community in Wilmington, whether it be through volunteering as translators at local schools, working for Centro Hispano or helping with hurricane relief efforts.” Bondurant said she has always felt like UNCW was home for her.